Hello, everyone. I know its been a long time getting back on this site. I had to get a new computer over this holiday season, so I am very happy to be back. I wanted to thank everyone for all there help, after my questions. I was looking for some help again and hoping someone can do just that. I was wondering if anyone has been to Percy Boom, in Campbellford this winter for some nice walleye, or musky fishing. If so, can anyone tell me what the ice condintions are like. Is it slushy, or hard water. Are peoplpe catching anything. Any help in this matter would be mostly appricated. Thanxs a bunch, and I hope you all have had a great season...but mostly looking forward to the summer. Are you sure you can ice fish there? I don't know for sure off hand, but I'd check and double check the regs for there. I'm pretty sure its not open to icefishing......I could be wrong!! Really, well then that is news to me...when would that have changed... I fished there last year (around this time). Lunge through the ice? I don't think you should be targeting them at this time of year! Not a Lunge dude by any means, but I'm pretty certain that they are out of season? Yes/ no! Well my main target would be the walleye....BUT I know there is some pretty heavy musky there. Few years back I landed a 42 incher out of the ice. I just checked the regs, and I believe you can ice fish there. Percy is considered part of Lake Ontario, no? 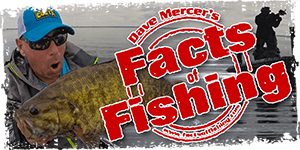 If so, you can ice fish walleye, pike and panfish there, but musky are OOS. I was thinking about heading there myself before the ice is out. Percy Boom is most definetely closed for musky at this time of year. Yes Percys is considered Lake Ontario up to the locks at Percy Boom. Muskie defintely out of season. From last I heard a week or so it was slushy, very slushy with soft spots in the main channel areas. Jakes (or whatever it's called now) might be open for ice fishing but not sure. Tackle spot in Cambellford closed up a while ago so there's no sure resource you can call to find out. The closest you might get is to see if that tackle store in Hastings is still open. Somewhere I heard he'd closed up as well. Thanxs a bunch for all the imput..this site is the best. I actually live in Campbellford. I do believe you are thinking of DUKES....that is the little bait store in town.. They sell minnows. I did call there earlier this morning and they seem to think that the bite is on. Lots of fish is being caught....Can't wait. I will be heading out around 6-630, going to Timmie for a java then out on the water. I will let you all know what it is like out there, and HOPFULLY my report will have some pics. I am heading to Crowe Lake tomorrow for some pike/walleye action. Same as you, I hope I have something to report on, and pictures as well! Star Burger.....I have only lived there for about 3 years now. I do not remember any place called Star Burger. You might be thinking Apollo's. I grew up in Whitby, and there is a place called Star Burger...the best burgers ever!!!!!!!!! Well there ya go.....I had no idea you could ice fish there. I always though it was the same as the kawartha lakes.....no icefishing. Does anybody know what areas of Percy Reach would have safe ice? My wife's family has a cottage in Campbellford, and I'd like to do a little ice fishing in the area. I was going to head up to Crowe Lake, but if I could try out down around Bradleys Bay area that would be cool.